Throughout the country, we have seen increased attention to police violence, income inequity and attacks on civic participation. CPD affiliates have led the way in their respective geographies on conversations and community-based solutions. 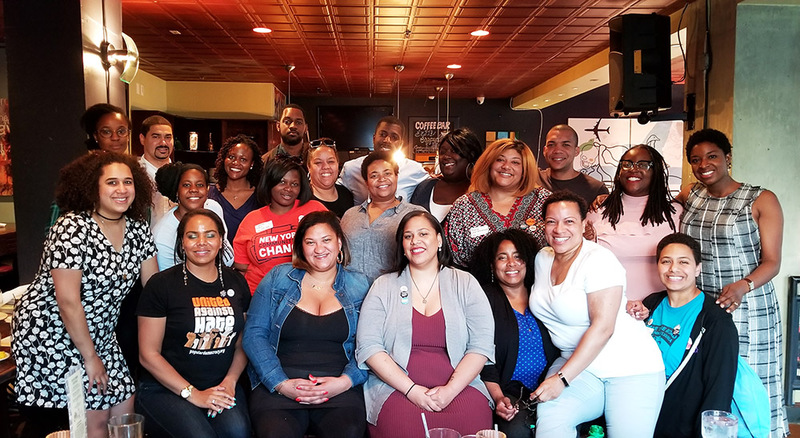 From One Pennsylvania, who is taking on the school-to-prison pipeline, to Black Leaders Organizing Communities (BLOC) in Wisconsin, who have reframed the narrative around safety to include community investments and not policing, the CPD Network’s Black leadership is on the frontlines fighting to protect our communities and our values. CPD affiliates in attendance included Arkansas Community Organization (AR), Black Leaders Organizing Communities (WI), Churches United for Fair Housing (NY), Good Jobs Now (MI), New York Communities for Change (NY), One Pennsylvania (PA), Organize Florida (FL), SPACES (Washington, DC), Step Up Louisiana (LA), Texas Organizing Project (TOP), United for a New Economy (CO), West Virginia Healthy Kids (WV). As this space continues to grow, opportunities to collaborate will also increase. If you are a Black executive director or staff leader from a partner organization that was not able to make it to the Leadership Council and would like to be involved, please contact Tracey Corder.